Passport application requires specific set of documents. All documents required for passport application and renewal are listed in this post. This write-up brings a relief for applicants. As you already know, it is one of the most essential identity proof especially if you are traveling abroad. It can also be used as a proof in most of the places where identity and address proof is required. Get your documents ready before you start process of passport application. There is a step by step guide on how to apply for passport. In order to apply for passport, you need to have all this documents. It helps in quicker approval as well. If you have all your documents for passport application ready with you, your application process will be completed quickly. Besides the specified set of documents, authorities may ask for extra documents too. Applicant should submit additional documents to the PSK if required. Tracking your passport status online will show you if any additional documents are to be submitted. The status messages will show reason of any delay in passport issuance. Though we have already informed users on how to apply for passport online, here we focus on documents required for passport. The list of documents for passport application is quite big. But the proper listing will help you get it ready in less time. Find below the complete list of documents you should submit along with the application for passport. These documents are to be carried while you visit your PSK or Regional Passport Office at the time of appointment. 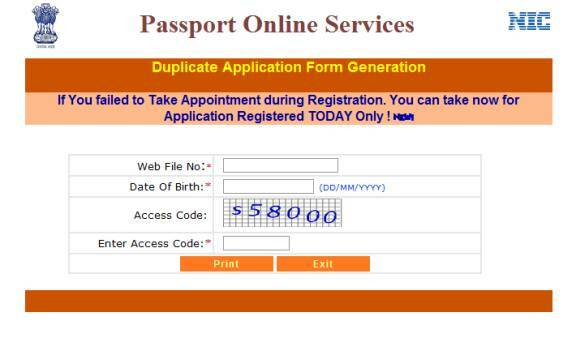 Also, more online passport application documents are given on the other page. Submit any single or multiple proof of your address. Here are the documents which can be submitted as proof of your address. UID or Aadhar Card (provided your Aadhar card is at least 1 year old from the date of passport application). If Aadhar card is not older than one year, it will be accepted only with any other additional proof of address. If the passport applicant is minor, Parent’s proof of address or their passport copy. Birth certificate issued by Municipal Authority OR any other authorized office which handles task of issuing Birth and Death Certificate. 3. Illiterate or semi-illiterate (less than 5th standard) can submit an affidavit made before a Magistrate/Notary. Specimen of this certificate is available as Annexure A at the officiate portal of Passport Seva. Applicants should present above documents in original with one self-attested photo copies of each at PSK. It can be submitted at the passport seva kendra (PSK) near you. Photo Identity Card of educational institute (in case if the applicant is a student). I-Card of your company if you are working. A letter from your Magistrate or MLA or MP. If you are applying for renewal of your passport, add your old passport. Applicants should remember that though we have listed all basic documents for passport applications, there can be extra requirements. Moreover, there can be slight variations in required documents in case of minor, senior citizens, orphans and government employees. In case if any changes are suggested, we will try to provide all documents required for passport. Government is also reviewing documents required for passport application from time to time. Many amendments and relaxations are given to make the documentation simpler. Like, many documents do not need attestations from gazetted officers anymore. Self-attested documents are well accepted by passport authorities. Integration of various governmental documents may bring further striking changes in coming days. You can bookmark our page to keep this check list of documents required for passport handy with you any time. Also take benefit of our other useful posts like tracking passport status. All online procedures shared here related to passport are for convenience of applicants. We also welcome your queries and confusions if any. Passport Renewal Online: How to Renew Passport? I am writing this mail in connection with renewal of my and my two children Passport which got expired on 16/03/2013 and 12/02/2013 respectively. My old Passport shows my permanent address of Kollam district, Kerala State and by August 2015 myself and family moved to another district of Ernakulam ,Kerala State. My election id, driving license, aadhar, all under permanent address. Please advise the possibility of renewing myself and my childrens Passport in the new rented address. My permanent address still as it is and my house and property still available. House is given for rent.